Love making money? Love your phone? 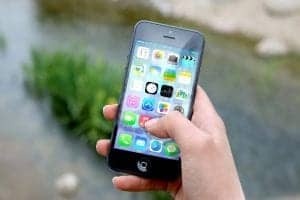 Why not make money from your phone with these money making apps? There are apps that will pay for answering questions, taking surveys, snapping photos and loads more. If you have a few minutes spare time why not put it to good use by opening up one of these quick and easy apps to earn a little extra money? Here’s a list of 20 apps that you can download to your smartphone to make money. Like giving your opinion? Qmee is a survey app that pays out to Paypal. No minimum cashout and new surveys daily. You can also use the Qmee browser extension on your computer to earn some extra pennies from your searches. Yougov is a paid survey app with the bonus that you never get disqualified from surveys. Surveys generally come through 2-3 times a week and are often about current affairs and brands. The downside to this one is that you have to accumulate £50 to cash out, but it is a lovely pay out once you get there! Voxpopme is a video survey app that pays you to record your opinions. Surveys are short and easy to do and you get paid into PayPal when you reach £10. 1Q is a quick and easy question and answer app. You get sent questions and are paid 25 cents instantly to PayPal per question answered. With 1Q you can answer questions within the app or via text. Whilst you don’t get that many questions it’s worth having as it’s just a few seconds each times and instant payout. You may also get the opportunity for higher paid telephone interviews. Attapoll is a survey app that pays into Paypal, you can withdraw your money when you reach £5. Surveys are not super frequent but are easy to complete and the payment threshold is relatively low. I love CitizenMe. It’s not a huge earner (sorry!) but it is super quick surveys that pay immediately to PayPal after each one. 10p upwards. Just download the app and keep notifications enabled so you don’t miss any. AppBounty gives you credits for trying out new apps, completing offers and playing games. You can exchange your credits for gift vouchers or cash into PayPal. Shopmium gives you freebies and cashback on certain items at supermarkets. Just check the offers and if you were buying something anyway or fancy the freebies, buy them and upload a picture of the receipt and they will send you the money back. If you sign up with my link, you can get a free jar of Nutella. Vypr is a super easy app to use, it just asks easy questions about your shopping habits and preferences. The questions are called ‘Steers’ and usually just require checking a yes or no box. You can earn higher points by also completing in store steers. Payment is sent to PayPal once you reach 10000 points (£5). Oppa is a bit different! It’s a photo app a bit like Instagram where you can earn money for sharing your photos. Users can ‘tip’ photos by sending them ‘drinks’ (cash). You can withdraw to PayPal once you reach $25. Make Money (They clearly thought long and hard for the name for this one!) is an app that pays you for various task such as trying new apps etc. You can collect 20 free credits each day just for opening the app. Payment is to PayPal when you reach 7500 points. You can use my code KQJJ3H to get some free credits when you sign up. This is a fab app if you live in a town or city and are often walking round. Created by Indeed.com, Jobspotter pays you to take clear, legible photos of any job adverts you see in store windows. Pays in Amazon vouchers. Sweatcoin is an app where you earn as you walk. Just leave it running in the background and you will collect sweatcoins as you walk which can later be exchanged for rewards. You do need a lot of points for the decent rewards, but all you have to do is leave it on, so minimum effort and a good one if you’re very active, or need some extra motivation to get out walking! Fitplay pays you for trying out new games, just download the game, play (or keep open) for the specified time, collect your points and exchange points for rewards. For Android users. For iPhone users, TimeWallet pays you for trying out new apps, usually games. Install apps and run them for a minimum of 20 mins. Upload screenshots of your battery life showing the app usage and collect credits. Exchange your credits for a payment into PayPal at any time. This is a very very slow earner, but requires very little effort. Just install PanelApp on your phone, and open each day to receive points. Occasionally it will offer you a location based survey. Otherwise just collect the points for opening and exchange for Amazon vouchers when you have enough. Shoppix is an app that pays you for snapping pictures of your receipts. Receipts must be dated within the last 7 days and must show the store name, date and itemisation. There are also short surveys for more credits. Payment is in the form of gift vouchers from £5; you can choose from Amazon and plenty more. Got a skill? You can use Fiverr to offer your services. People will pay for things like freelance writing, web development, graphic design, you name it. Just register and advertise your services, or browse through the jobs available. You can use the website or the app is available for both Apple and Android. Field Agent is an app that pays you for carrying out information gathering tasks, these often involve things like taking photos of displays in shops and uploading them to the app. Once you accept a task you normally get 24 hours to complete it. I have never heard of any of these. Thank you for sharing. I definitely want to try Fitplay, who wouldn’t want to get paid for playing a game! Thanks for the list. I’ve only heard of Field Agent. I’m a couponer and use several apps like these!